There are quite a few ways to make money from bookmakers with no free bets at all. I’ll go over these at the end of the article but it’s really unlikely that you’ll get to a situation where there are no free bets to be had. One of the questions we get asked all the time is, “I’ve completed all the sign up offers so can I still make money from matched betting?”. The answer is of course yes. Before we go on… are you sure you’ve completed them all? At the time of writing we have over 60 sign up offers available here on OddsMonkey! It’s a common misconception that matched betting begins and ends with the sign up offers, but in reality the sign ups are just the beginning of your journey. Think of them as you getting all the accounts you are going to need to start making money every single day. The sign up offers are great and that is definitely where you should start out. They teach you the basics of matched betting and can earn you a tidy sum too but there is so much more once they are done. Many of our members have been with OddsMonkey for many years and they still continue to make great profits every single month. Bet X Get X – Similar to the sign up offers so you will already be familiar with these. Many bookmakers continue to do these offers to keep you betting week in week out and we can take advantage of them in the exact same way we did when we signed up. Bet X Get a Casino Bonus – This time we are placing our matched bet to get rewarded with a casino bonus. This gives us a chance of a big win at the casino for the small price of a matched bet. Get a refund if you lose or come second – These are common on horse racing. Back a horse and if it doesn’t win you get a free bet! Casino offers – while carrying more risk than standard matched bets many members are using the edge these offers give to the player to turn a long term profit. Accumulator offers – Usually you get a refund if one leg of your acca lets you down. Using OddsMonkey’s software we can lay our accas at the exchange to get a chance of a free bet. There are lots of these offers every day and of course you can find them and learn all about them here on OddsMonkey. Once you switch to reload offers you can sign into OddsMonkey every day and check the daily offer calendar to find out what is available. Offers on the daily calendar are marked as potential profit and guaranteed profit. Get the guaranteed profit offers completed first and then move onto the potential profit offers. Quite often these offers carry no qualifying loss thanks to our OddsMatcher so completing them gives you a free shot at getting a free bet. Offers on the calendar are also given a difficulty rating. So get the easy ones out of the way before you move onto harder offers which may take more time to complete. It’s quite easy to get into a mindset where you decide not to do certain types of offer. You might think you don’t understand them or they are not worth the effort. Take the time to learn how to do them and get stuck in. When you first started matched betting you probably knew nothing about it at all but you learned what you needed to do. Why stop now, keep learning and growing to open up new opportunities to add to you daily profits. 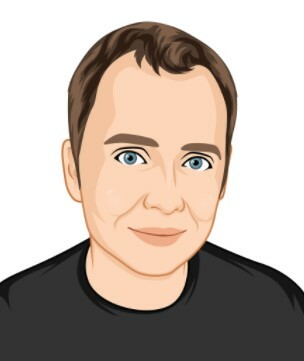 Here are OddsMonkey we have created numerous tools to help you get the most out of available offers and to make them as quick and easy to complete as possible. So make sure you use the tools! We have many different tools and calculators for all the different types of offers that are available. There are also tools for offers you might not have considered before such as the extra place offers. We have an exclusive tool for getting on extra place races. It allows you to identify what races are paying extra places and then gives you the bets that give you the best chance of hitting a win. It’s easy to start looking at certain offers and trying to predict what is going to happen. Maybe you think a certain team is going to win or a certain player is not going to score so you ignore the offers that are available as you think they won’t be triggered. As difficult as it may be, getting out of this mind set and just doing the offers is key. Getting as many offers done as you can means more chances of hitting free bets. I’ve been gubbed from a bookie so now what? While gubbings are something we have to deal with as matched bettors it is unlikely you will ever get gubbed from all the bookies. Plus you can take steps to keep your accounts in good health for a long time. However even if that were to happen there are still opportunities to make a profit. Most bookmakers will still give you extra places even after they remove your offers. So you can continue to profit from those each and every day. As well as this you will likely still be able to do all the casino offers that a bookie offers. So if you have been gubbed from a certain bookmaker the account is not necessarily useless. It still could be a profitable account. There are a few methods we can use to keep making money even if a bookmaker account is completely dead in terms of free bet offers. Some of these will get your account stake restricted eventually but if the account has no other use then you might as well give them a try. Generally this is something to avoid for matched bettors as it will get the account restricted pretty quickly but if the account is already gubbed you can give this a go. 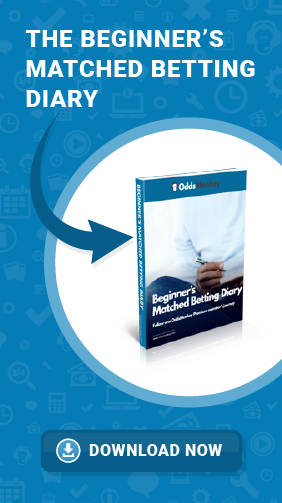 By using the oddsmatcher you can identify arbing opportunities. Anything with a rating above 100 is likely to be an arb. Arb bets happen when the bookie back odds are higher than the exchange lay odds. We can back and lay these bets to lock in a profit no matter the outcome. Just use the OddsMonkey calculator in normal mode and lay as advised. These come up on a regular basis and are essentially the same as arb bets. The difference here is the bookmaker is offering you these odds as an offer so they are safe to take without worrying your account is going to get restricted. They work in the exact same way as arbs. The back price needs to be higher than the lay price. We can then lock in a profit. So we already mentioned this briefly earlier in the article but extra places are another way to earn money with zero free bets involved. These work when the bookmaker offers an extra place for an each way bet. As the bookmaker is paying more places than the exchange we can back and lay these each way bets and then hope we hit an extra place. If we don’t hit the extra place we will have a small loss but when we do hit the extra place there are some big wins to be had. These are available daily on horse racing but become particularly lucrative on Golf Tournaments. These offers are not risk free and you could lose money so you need to be aware of that before you start. These offers usually come in the form of wager x to get a bonus or wager x to get x free spins. We can use the maths of the average return to player of casino games and slots to work out if the offer gives the player an advantage. These offers do carry risk but have an long term expected value. You won’t get that value every time but long term you should come out ahead. There are often overlooked but can profitable when done correctly. We have guide on how to complete these offers inside the premium section of OddsMonkey. Bingo sites usually give you a big bonus when you sign up giving you a really good chance of turning a profit. Again though there is a larger risk here than standard matched betting. There are lot of ways to profit from bookmakers even without free bets. Give the different types of offer a go and get stuck into the guides on OddsMonkey. Don’t be too disheartened if a bookmaker gubs you as there still could be plenty of ways to make a profit from them even if you no longer get any free bets. ◂ History beckons – can Jordan Spieth complete Grand Slam?